So, you want to know how to size a wakeboard properly? 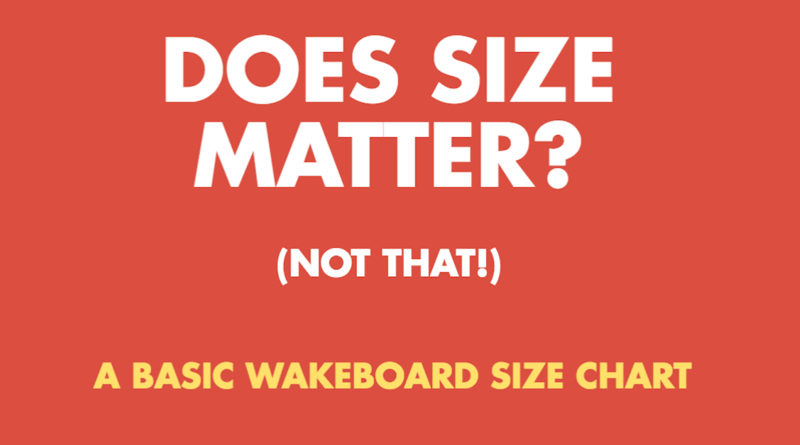 Well, you need a wakeboard size chart! Luckily for you we made a handy infographic (down below) so that you know you're buying the right one. Wakeboard sizing can be confusing. There are many factors to consider and unfortunately, there isn't a one size fits all method. For example, just like choosing the best water ski for you, the wakeboard size you go for can depend on your ability level, weight and riding style. Below, you'll see our wakeboard size chart in kg and lbs. There's also explanations of what you should take into account when choosing the size. After​ our wakeboard sizing chart, we'll go into more depth about what you might need to consider when buying a wakeboard. What Size Wakeboard Do I Need? 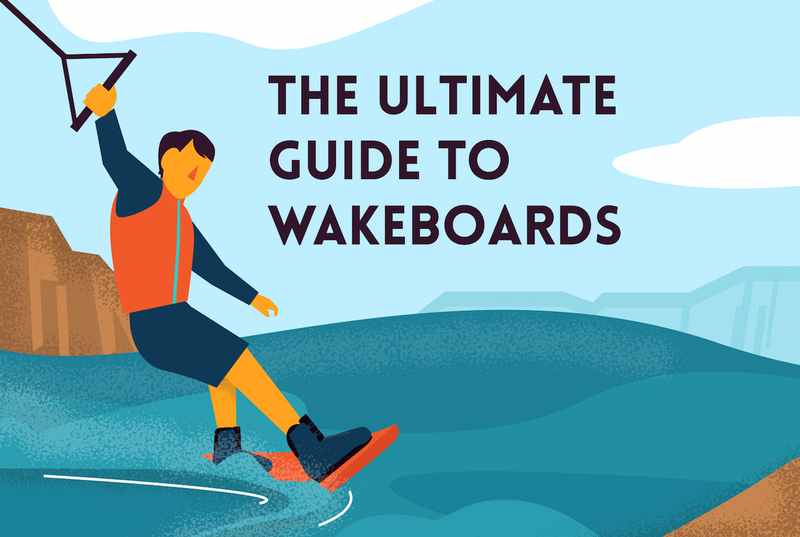 Primarily, wakeboard sizes depends on your weight and riding style. As we mentioned in the wakeboard sizing chart infographic, height tends to have little impact on choosing the right size. ​To add to the confusion, each specific wakeboard will be sized slightly different. Think of it like a pair of shoes; you might be size 10 in nike, but a 9 or 11 in something else. Ok, it's not that simple, but you get the idea. Furthermore, will you have multiple people riding the same board? It'll be hard to get the perfect match. You should choose a size which suits the person who will be riding it the most. Or, you could choose it based on the heaviest in the group, so that it floats them easily. Beginner wakeboard riders tend to need more stability and more room for error. To be pulled up easiest, a larger board is better due to having a bigger surface area. The board also needs to be forgiving (letting you away with a few mistakes). For this, you should start with a mellow 3-stage rocker or continuous rocker. A mellow 3-stage rocker is a bit of a hybrid between continuous and 3-stage, which will allow a beginner to progress. This t​ype of board should also offer enough stability to give a new rider confidence. One thing to consider is that if you are a quick learner, you may progress out of a beginner board fast. For intermediate riders, it begins to get a bit more down to your individual riding style. Therefore, it's more important to go for a board which will allow you to progress. Advanced riders will really have a handle on how they like to ride. With complicated surface tricks and flips on the cards, you'll be confident in choosing a board based on feel, rather than a sizing chart. Advanced boards allow you to cut in hard​ and ride aggressively. You'll have likely tried and test several boards and have a good understanding of your own riding style. The deck of the board is essentially the main body. A bit like humans, they come in all sorts of shapes and sizes. Unlike humans, they can come in different materials, usually carbon or wooden core. Boards made from wooden core will be more flexible and therefore offer more 'pop' for taking off on a big jump. This makes this kind of board extremely popular for advanced riders. ​Carbon boards are more durable, but tend to be stiffer. This doesn't allow as much give when landing hard after a jump. Some manufacturers are now building hybrids. ​The rails on a wakeboard are the outside edges and come in different sizes and also affect the way you ride. Rounded rails are typically better for beginners because they are more forgiving of mistake. They also offer more stability and an easier landing. The downside for more intermediate and advanced riders is that rounded rails makes riding on your edge slower. This also means that you will lose speed when turning to cut into the wake. As you can imagine, sharp rails have an opposite effect. Advanced riders tend to prefer sharp rails because they don't need as forgiving ride. This allows them to turn more aggressively, building speed into the wake. If you land badly with sharp rails, it will be much harder to handle. This is why beginner don't usually ride with these rails. We briefly touched on the different kinds of rockers earlier, but now we'll go into a bit more detail. In simple terms, the rocker is how curved the board is. If you lay a wakeboard down, you will see that it is not completely flat against the ground. The two main types of rocker you would have to consider is a staged or continuous rocker. Then there are hybrid rockers, which is a bit of a combination of the two. Staged rocker: is as it sounds; the curve of the board will be in stages, most often 3. This is known as a 3-staged rocker. The board will ride higher on the water, meaning that it is faster on the edge and into turns. ​The pop from a 3-stage rocker is more explosive, which will give you more height. The flip side is that they will provide a harsh landing due to the flat surface at the bottom of the board. Continuous rocker: has a more smooth and gradual curve, which is suitable for beginners. They tend to be more forgiving and offer better stability. This type of rocker is slower and won't give us a much pop off the wake. But, the pop will be easier to control and landing should be easier. ​Fins are a saviour for many beginners because they allow you to have more control over the board. Fins allow you to turn and manoeuver the board, without the feeling of 'slipping' through the water. Short fins obviously create less drag which​ means that they are better for quicker turns and handling. They are much more suited to flatter water. Longer fins tend to slow you down fractionally​, allowing you to hold onto the water. These are suited for rougher water. If you really fall in love with the sport, then you're about to enter a world of fun. Plenty of people start as a complete beginner, then want to be involved in the sport in every aspect. You can go on to buy your very own wakeboard boat, which requires a different set of purchasing knowledge. 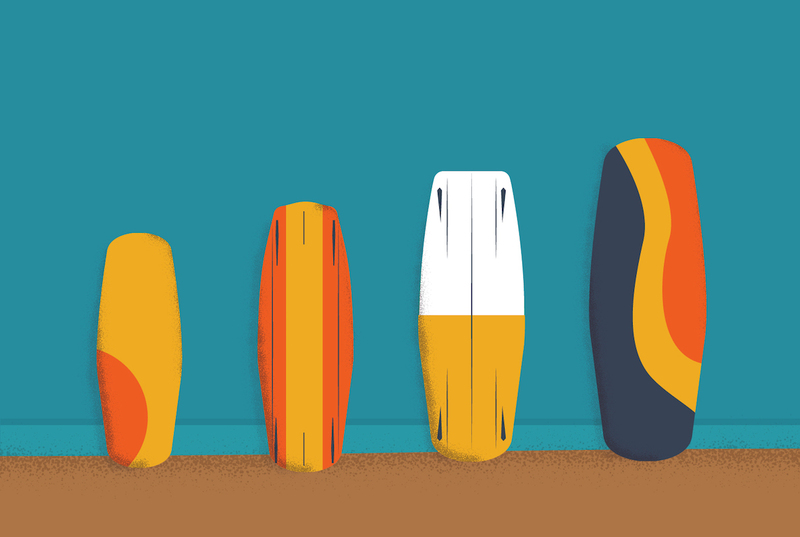 Once you've got your boat, there are plenty of accessories to go along with it. For example, different kinds of heating, mirrors and then some of the best wake tower speakers for your wake tower. Wake tower speakers are designed to fit into a wakeboard set up on a boat. The other alternative is to go for the best marine speakers, which are usually panel mounted. They tend to be cheaper than wake tower speakers and produce excellent sound as well.